It seems like a wimpy way to do things: Pick a goal and select one action to take that will move you toward that goal. And then actually do that one action item. It’s not ‘massive action’. It’s not ‘leaving out all out on the field’. It’s one thing. Every day. But one thing a day, compounded over the year, might be 2 to 3 times more ‘things’ than you’d do otherwise. I’ve heard this suggestion before. Darren Hardy talks about it at length in his book The Compound Effect . Paul Castain discusses it in his Podcast (the one I listened to this morning), admonishing his listeners to learn to take action. What I love about this suggestion to select one, maybe two, things a day is that it helps me move forward with much less frustration. As Castain points out in this episode of his Sales Playbook podcast, we all have families and jobs and clients and a variety of responsibilities. We can’t simply start taking 5-10 new actions a day without majorly upsetting the balance in our lives. Therefore, one specific, targeted action a day is a healthy way to move toward a well-defined goal or personal self-improvement initiative. That’s what I’ve been attempting to do through this challenge that I affectionately call the 6 Month Dan Miller Challenge. 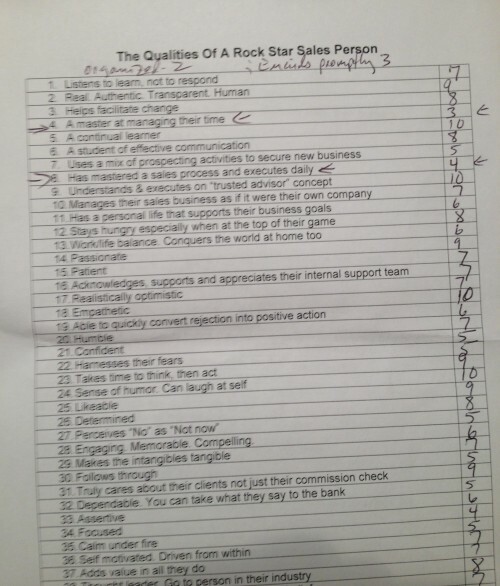 Today’s Action: Request Castain’s “Qualities of a Rock Star Sales Person” list, rate myself on a scale of 1-10 for all 75 qualities, and identify particular weaknesses. See for yourself where the weaknesses fall out. Now I have to decide if I’m going to focus on the weaknesses or pull out my ’10s’ and leverage my strengths. Decisions. Today’s Second Action: Reach out to a new networking contact. I love the little self-tests and ‘in the privacy of my own office’ projects, but if part of the goal here is to create value to receive value, then I need to find folks for whom to create value. If my main action item doesn’t involve engaging another human person, I must add at least one attempt to reach out. My three pronged marketing plan to find places to teach, find bloggers and journalists to get to know, and engage experts in one-on-one interviews is vital to my mission. I also will need to add more direct sales prospecting methods. But I’m sure I’ll be running into those action items soon. I did read more of The Dip by Seth Godin , but not a whole lot more. 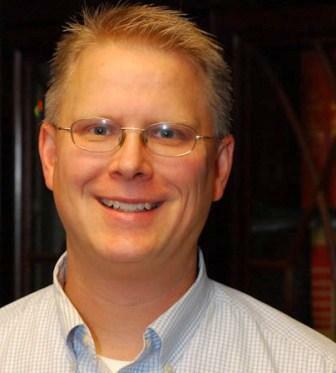 Episode 106 Getting Back To School With Your Selling Skills Part 3 September 11, 2014 – Paul Castain. My exercise for today came from this podcast.